Plymouth, MI. 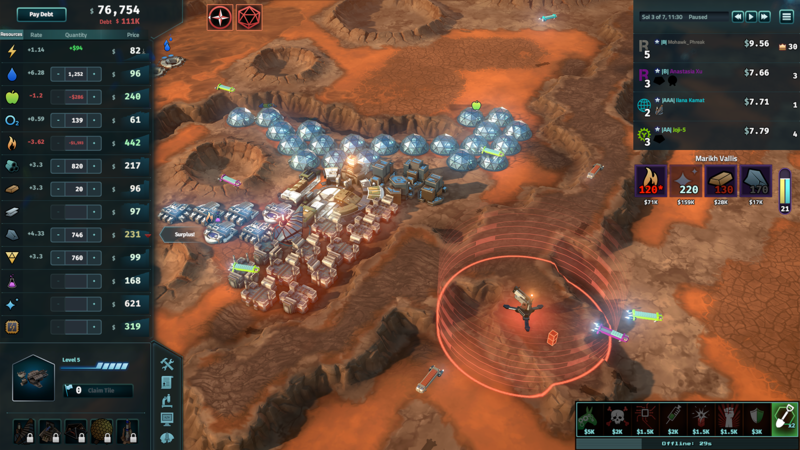 – October 27, 2016 - Stardock released The Patron and the Patriot (P&P) DLC for Offworld Trading Company today. Colony Class - Each colony now specializes in one area of the economy, altering local market conditions in a variety of ways. Campaign Length - The campaign tournament can now last for 4, 7, or 10 games. Each length comes with its own balance tweaks and gameplay subtleties. 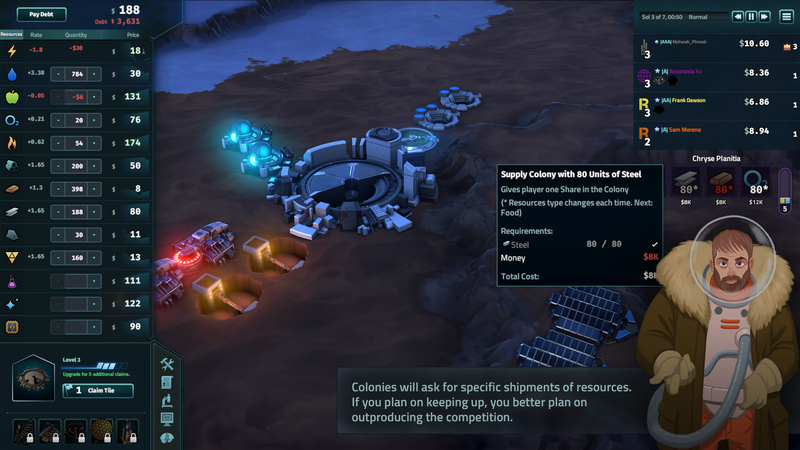 Wholesale Orders game mode - Not all colonies want you to build habitats and work modules for them. Now, some want your company to supply a variety of wholesale goods instead. Two New Characters - New CEOs with new gameplay perks. Story-Driven Campaigns - Six interactive short stories about life on Mars, available to experience through playing the new characters on each different length of campaign. 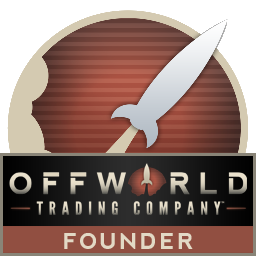 "Offworld Trading Company puts the player in the position of CEO of a company on Mars," said Soren Johnson, CEO of Mohawk Games. "Your opponents are other companies and your weapons are resources and market forces. With The Patron and the Patriot, we wanted to further develop the immersion of the game's setting on Mars." To that end, P&P's included short-stories flesh out what life on Mars means for colonists, workers, and corporate titans alike. These interactive stories are driven by the player's choices in the game. 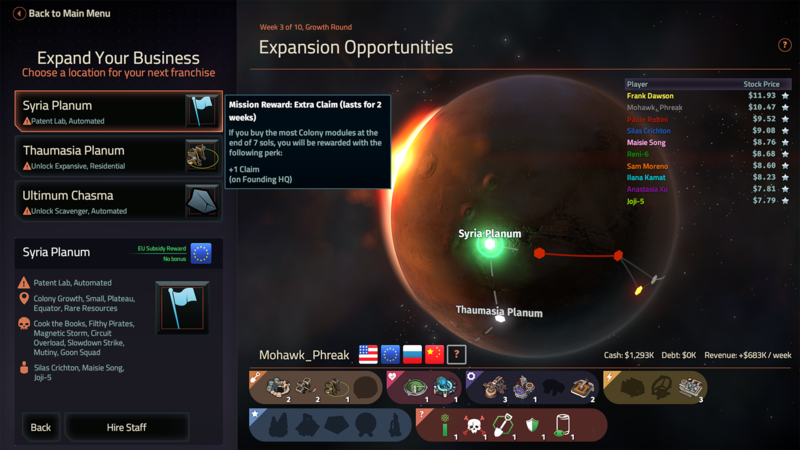 This interactivity ties into the 17 new colony classes which impact local market conditions for players to deal with.